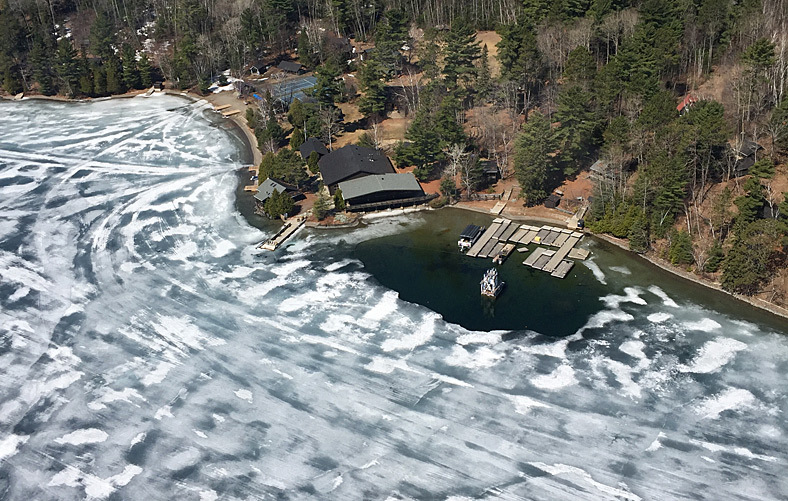 Shoreline water at Camp Wabikon (above). 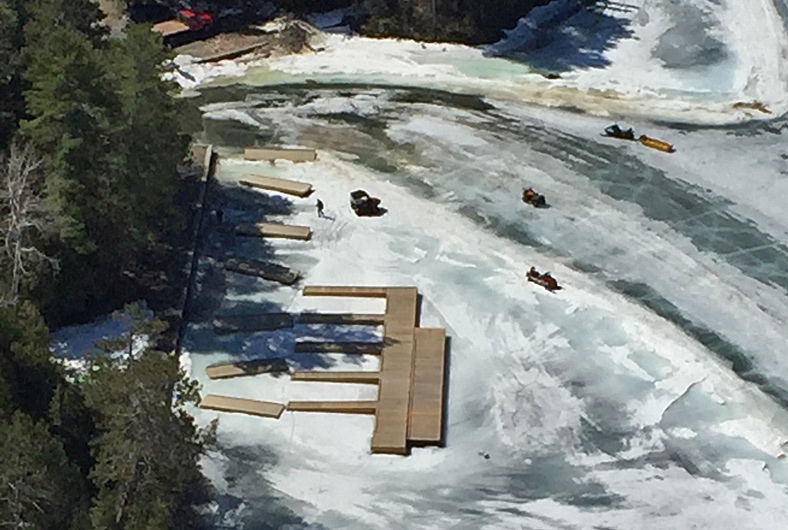 Activity on the ice (below) at Manito Landing. 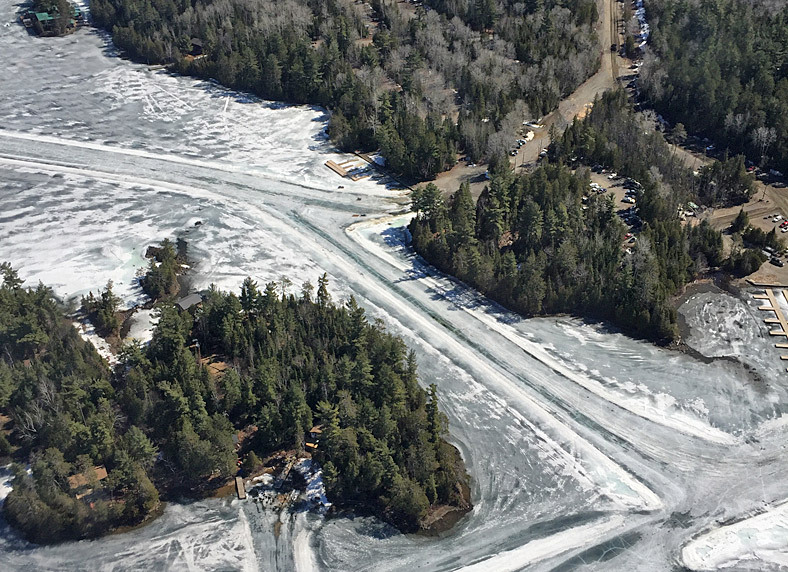 The landings (above) with ice road still in use. 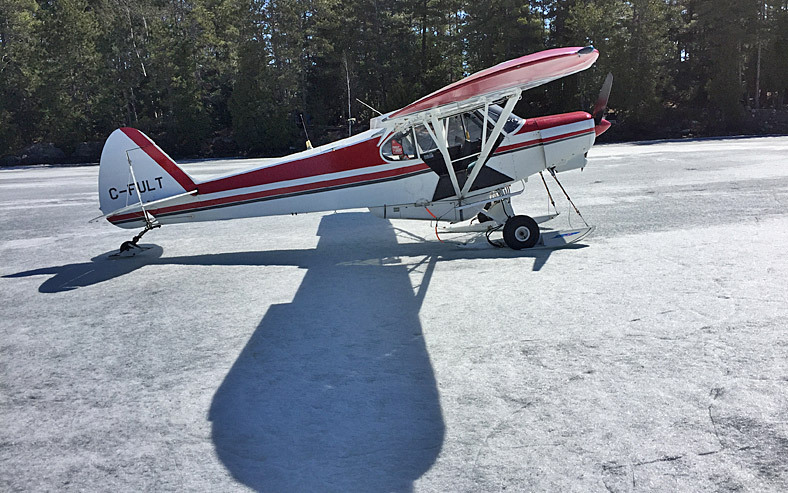 Ron Miller still landing his plane on the ice (below).